A head-turning design featuring a retro 1970s pattern! The gray, silver, black, blue, and navy colors are arranged with a very unique check pattern borrowed from a popular 1970s fabric design. 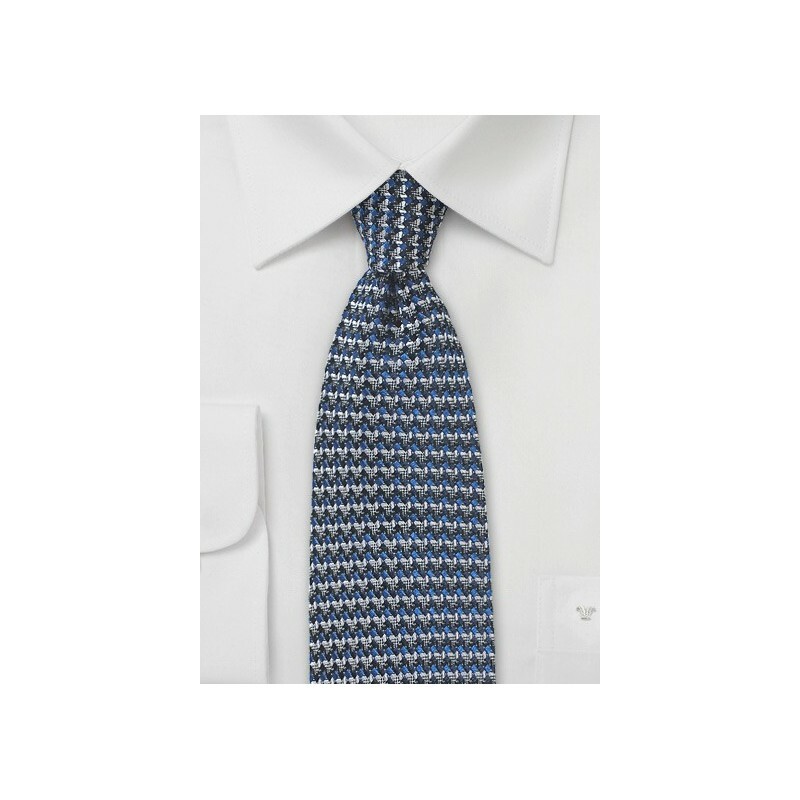 If you want a stand-out necktie that gets everyone talking, then this is the one! 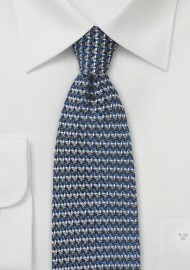 Handmade from thick woven silk by brand name designer Parsley Luxury Neckwear.